In many respects, Florida remains the forgotten state of the Confederacy. Although the third state to secede, Florida's small population and meager industrial resources made the state of little strategic importance to either side. However Florida's 13000 mile coastline proved invaluable for the production of salt, made by boiling sea water in large kettles or evaporating it in man-made tidal pools. Florida also became an important source of beef cattle for feeding the Confederate troops. The railroad which ran north from central Florida and connected with routes east and west in Atlanta provided a steady supply of food. Even before the firing on Fort Sumter, volunteer companies organized throughout the state. Many of these "minute man" units became the nucleus for companies that later entered Confederate service. During his last months in office Governor Madison Starke Perry, whose single term was to expire in the fall of 1861 and who would later command the 7th Florida Infantry, strove to organize and equip Florida's troops. During this period he made several trips out of state to obtain weapons and accoutrements. 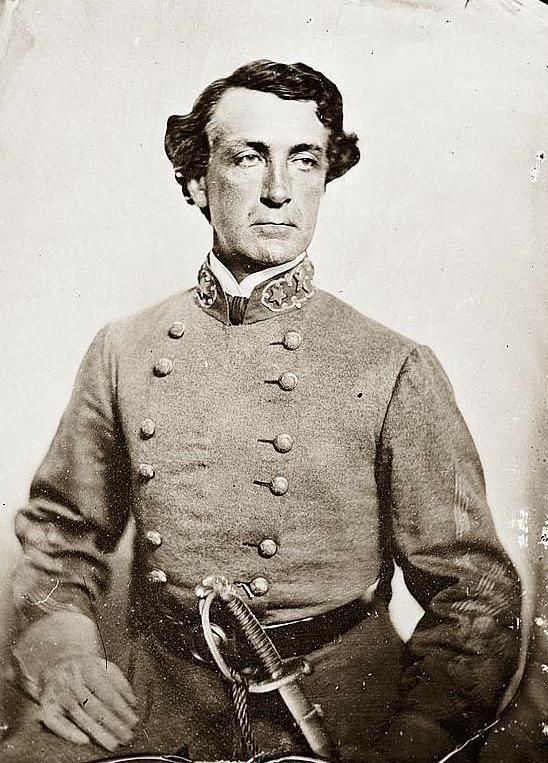 Perry was criticized, however, for his decision to allow state militiamen to volunteer into Confederate service as individuals rather than by units. John Milton, who won election in the fall of 1860, became governor the following October. Described by one biographer as "a loyal Confederate," Milton labored to rebuild the state militia and also worked to improve the defenses of the Apalachicola River and of Fort Clinch on Amelia Island. By the summer of 1862 Florida had raised, equipped, and sent out of state the 1st through 8th regiments of infantry, the 1st Florida Calvary Regiment, and various smaller commands. The only forces remaining in the state were a variety of independent companies, several infantry battalions, and the newly-organized 2nd Florida Cavalry Regiment. The largest battle in Florida during the war took place February 20, 1864 at Olustee. The battle followed the fourth and final Union occupation of Jacksonville, which had occurred on February 7. Launched primarily to reinstitute a loyal state government under the terms of President Lincolns Reconstruction Proclamation, the Federal troops also hoped to interdict Confederate supply operations in the state, to open the port of Jacksonville for northern commerce, and to recruit troops for union black regiments. About twelve miles east of Lake City they met a Confederate force of similar size, commanded by Brigadier General Joseph Finegan, situated near the railroad depot of Olustee and a body of water known as Ocean Pond. In the days following the original Union landing, Finegan had consolidated the few troops still in Florida and had obtained additional manpower from Georgia and South Carolina. After sharp fighting lasting four to six hours the Federals retreated. Union losses totaled more that 1,800 killed, wounded, and missing. Confederate losses were roughly half that number. For the Federals, the casualty percentage at Olustee was one of the highest of the entire war. 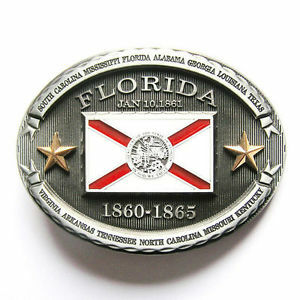 As Southern militias gathered in Pensacola during the first weeks of the siege of Fort Pickens, Florida, as one of the early seceding states, sent delegates to the constitutional convention that assembled on February 4, 1861, in Montgomery, Alabama, to establish the Confederate States of America. The convention produced a provisional constitution and government headed by Jefferson Davis of Mississippi as president and Alexander H. Stephens of Georgia as vice president. On March 11 the convention made the constitution permanent and the provisional government, which relocated to Richmond after Virginia seceded, dissolved within a year. Davis and Stephens, who were reelected to their offices in November 1861, were inaugurated as the chief executives of the permanent Confederate government on February 22, 1862. Florida participated in all of these political developments. On February 26, 1861, the secession convention in Tallahassee approved the passage of the provisional Confederate constitution and ratified the final version on April 13. The convention also endorsed the ticket of Davis and Stephens as the Confederacy’s chief executive officers and revised Florida's constitution to recognize Florida's membership in the Confederate States. 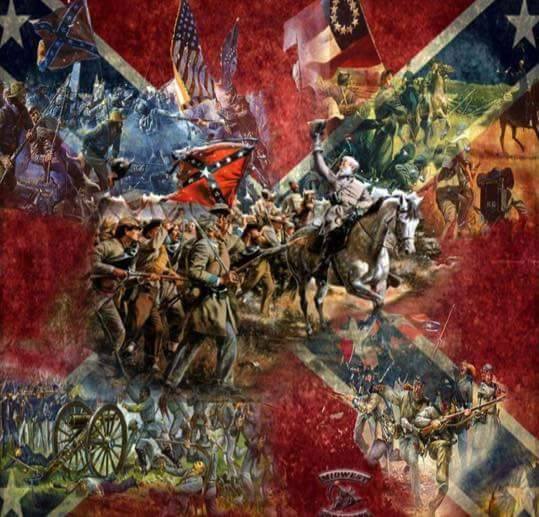 By the end of 1861, some 5,000 Floridians had joined the military forces of the Confederate States. The last significant battle of the war in Florida came in March 1865, when a Union force landed on the Gulf and threatened Tallahassee. After landing near St. Marks on March 4, 1865, Brigadier General John Newton and some 600 Union troops marched to the town of Newport with the intention of crossing the St. Marks River and attacking the port of St. Marks and its Confederate-held fort from the rear. Confederate forces in the area destroyed the bridge at Newport which prevented a Union crossing of the St. Marks at that point. The next day, General Newton and his force marched to Natural Bridge, where they hoped to cross the river and proceed to St. Marks. On the morning of March 6, Newton tried to move across the St. Marks at Natural Bridge, but a Confederate force positioned on the opposite bank blocked his crossing. The Confederates, commanded by Brigadier General William Miller, consisted of a motley collection of regulars, militia, and a company of cadets from the West Florida Seminary—one of two state military academies in Florida (the East Florida Seminary was in Gainesville)—in Tallahassee, which was about twelve miles north of Natural Bridge. Miller’s Confederates prevented several Union attempts to flank their position. Unable to dislodge the Confederates, Newton withdrew from Natural Bridge and retreated to the coast, where the Federal flotilla evacuated his force. Confederate veterans in 1888 formed the United Confederate Veterans of Florida, and Alachua County had an active chapter until too few were left to keep it alive. The County had, at one time, about 135 men who served for the Confederacy. ﻿CSA Veterans line up on the steps of the Gainesville County Courthouse, they met, wearing their old uniforms wrinkled from storage and their medals rich with memories. They stood for this photograph, taken by Gainesville's Vansickel Studio﻿: "The Civil War had been ended sixty years when these 19 men gathered in Gainesville, convention was November 4th, 1925." Jacksonville This is the Monument to Confederate Women. The Monument is in Confederate Park﻿. It’s hard to tell, worse to explain. There’s fewer men in our brigade. The battle’s fought on each terrain. The northern states, what will we gain? Each battle now a hurricane. Not think of men that have been slain. I’m walking homeward down our lane. I shall return if it’s God’s will. With all my love, I do remain…..
A letter home, but was in vain. LL For all the Florida boys who never came home﻿﻿.